Make Bayshore Your New Lab. Your patient’s case—when they need it. The resources to handle any case. Free Z Crown Solid when you pay online with our Customer Portal! Based in sunny Tampa, FL, Bayshore has been ranked among the top 3% of dental laboratories in the United States by Lab Management Today. We are also proud of being named a finalist in the LMT crown challenge. Our continued success is due to working with skilled dental professionals like you. As a dental professional, you constantly strive for perfection. Bayshore Dental Studio can help you deliver a restoration or prosthetic with flawless fit, spot-on shading, and natural esthetics. You know that a job well done is a patient that can’t stop smiling. We know a job well done is when you’re smiling too. Free Bayflex Adjustment Kit when you order a Bayflex Partial! Bayflex is the only flexible partial featured in Dr. Gordon Christensen’s Clinician’s Report “Best Product Guide.” The reviewers loved Bayflex’s thin yet strong construction, precise fit, and esthetic appeal. Their patients loved Bayflex’s flexibility, comfort, and affordability. You will love our industry leading quality at our competitive price. Clinical success and ease of communication are clearly related. When you send your patient’s case to any dental lab, you give up a lot of control. When you send a case to Bayshore Dental Studio, you control the outcome. Now, you can easily connect with your CDT and interact with your case from beginning to end. Track progress in our customer portal, approve 3D case proposals, and design a case in real time with your certified Bayshore technician. Keep your patient’s case at your finger tips with Bayshore Dental Studio’s Digital Preview Service. Bayshore Dental Studio can help your practice offer exactly what patients are looking for: Beautiful, realistic and high-precision crowns with a high-speed turnaround. Keep up with increasing patient demands! Bayshore is offering two of our most popular prosthetic options with expedited delivery. Choose between Z Solid Monolithic Zirconia Crowns or IPS e.max CAD Porcelain Crowns. Bayflex Partials rarely need chair-side adjustment, and patients find them easy to care for and wear. I’m using Bayflex for anterior implants, and find the esthetics and comfort are superior to ‘flipper’ or temporary implant crowns. I really like Bayflex. The cosmetics are so good. Just delivered a set of veneers on #7 and 8. VERY nice job—please keep this up. Show this to the technician—the detail, surface texture, and shade was spot on. Nice Job! Our office recently began working with Bayshore, and it has been a good experience. Our patient was very pleased with her implant case, and the online customer portal helps us track our cases daily. We love how there’s always a ‘live’ person available for assistance. We recommend Bayshore Dental Studio! Schedule your free DPS consultation today! Digital dentistry is here, and it’s her to stay. Experience a true digital workflow with Bayshore. 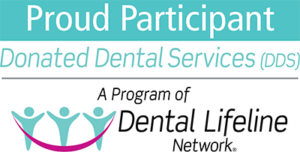 DPS is forever changing the way dentists communicate with their lab. We can design your case live for predictable results. Achieve unprecedented patient satisfaction with DPS.